Promotion available on new CITROEN BERLINGO MULTISPACE models. Deposit Contribution only available in conjunction with Citroën Financial Services. With Citroën Financial Services you have the option to return the vehicle and not pay the final payment, subject to the vehicle not having exceeded an agreed annual mileage (a charge of 7p per mile for exceeding 6000 miles per annum in this example) and being in good condition. Finance subject to status. Guarantees may be required. Terms and Conditions apply. We work with a number of creditors including Citroën Financial Services. Quadrant House, Princess Way, Redhill, Surrey, RH1 1QA. A pioneer in leisure vehicles since 1996, Citroën presents its new Berlingo, combining all the features of its predecessors with significant modern advances. New Citroën Berlingo is innovative and bold offering in terms of design, modularity and practicality. With its strong assertive character, dynamic silhouette, Airbump® design and colour inserts, New Citroën Berlingo is the ultimate leisure activity vehicle. New Citroën Berlingo's strong, attractive lines are innovative. Modern and playful, it comes in 2 lengths: the standard size M measures 4.40m long, while the new XL size is 4.75m long. The M body style can seat up to 5 people whilst the XL can carry 7 in pure comfort. 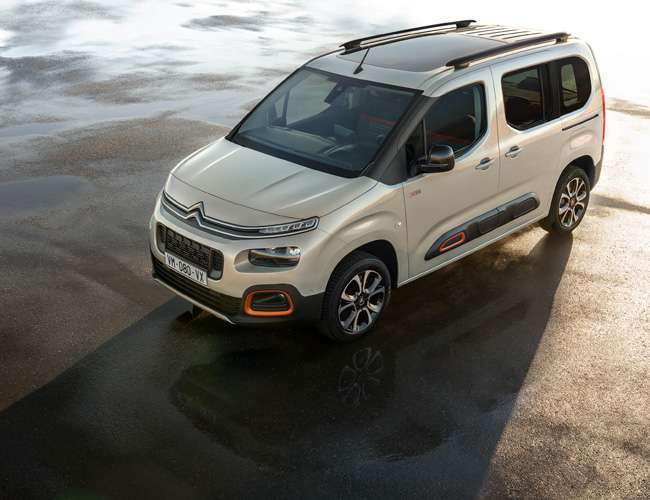 The front of New Citroën Berlingo features strong markers: a higher and shorter grille, a brand-identifying front panel with the signature two-tier light and a forward-set windscreen providing more space and brightness. The car’s body is also topped by roof bars and embellished with Airbump® design accentuating its strong appearance, while also emphasising the dependable protection offered by the bodywork. 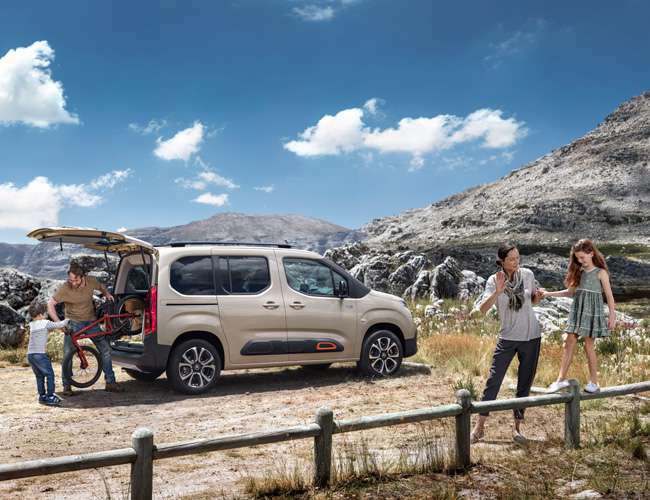 New Citroën Berlingo offers a wide range of exterior colour options including Soft Sand, Aqua Green, Columbus Gray, Platinium Gray, Onyx Black, Deep Blue, Passion Red and Polar White. For eye-catching individuality there’s the option of white details around the fog lights and side protection strips. They match perfectly with the range of striking body colours. Alternatively, go for vibrant orange highlights included in the an optional XTR Pack. With contrasting Onyx Black door mirrors, body coloured scuff plates and a wild green interior ambiance with orange strip, they really stand out. 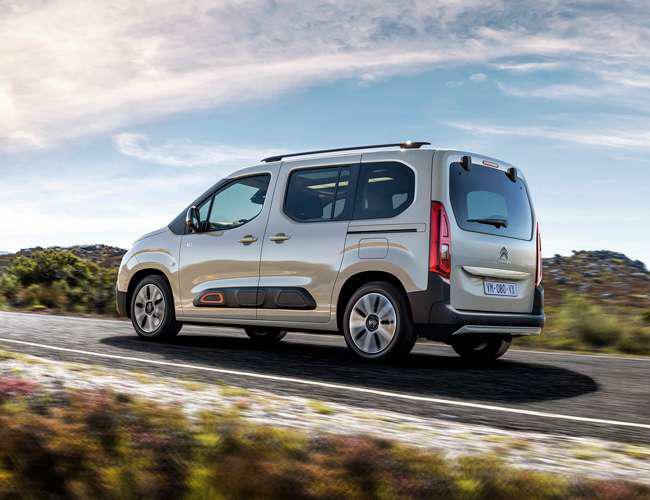 New Citroën Berlingo benefits from the Citroën Advanced Comfort® programme. It offers optimum ride quality, making each trip a moment of shared pleasure, thanks to the comfort of the seats, suspension, and the high-quality acoustic equipment. 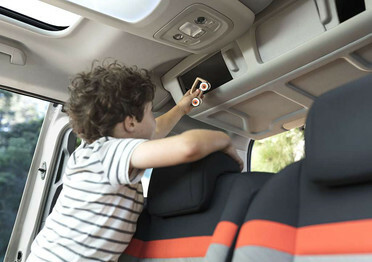 New Citroën Berlingo offers a bright interior, a benefit of its surrounding connected glazed surfaces. A large panoramic glass roof, which can be concealed with an electric blind, also lets even more light in. Practical both outside and in, New Citroën Berlingo offers first-class accessibility via its two sliding side doors and opening tailgate window. With its fold-down seats, New Citroën Berlingo offers a high standard of comfort and modularity. The boot volume of the medium-sized Berlingo M is as much as 775 litres. New Citroën Berlingo has 186 litres of storage space designed for everyday living, which is more generous and ingenious than ever, including the Modutop® with 92 litres of storage space. The rear seats can be folded down individually or together into the floor, adapting perfectly to the desired configuration. When folded, they provide a flat floor. With the front passenger seat folded down into the floor, New Citroën Berlingo boasts a load volume of up to 4,000 litres and a load length of over 3 metres for the XL version. Also in the rear, the luggage shelf can be configured in two positions: the regular high position and an intermediary position for dividing the boot into compartments. The luggage shelf can support loads of up to 25 kg and is easily accessed via the opening rear window. Eminently practical, the shelf is stored behind the row-two seats. New Citroën Berlingo is now available in two lengths with controlled proportions and well-balanced lines. Both lengths bring motorists optimal comfort with the M body style seating 5 and the XL up to 7. The XL model is 35 cm longer than the M model with a longer wheelbase and extended rear overhang. 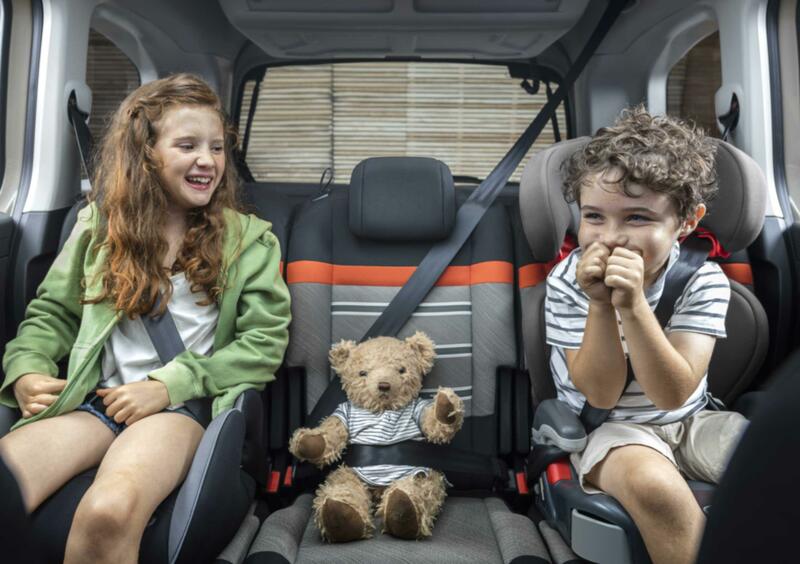 The third row of seats is removable and sliding, offering a choice between passenger comfort or greater boot capacity depending on your activities. New Citroën Berlingo combines a range of modern technologies that make everyday life more convenient. It comes with the best in technology to ensure a high level of safety and peace of mind. Lane Departure Warning System, Driver Attention Alert, Blind Spot Monitoring System, Extended Traffic Sign Recognition, Active Lane Keeping Assistance, Active Safety Brake with Top Rear Vision, etc. 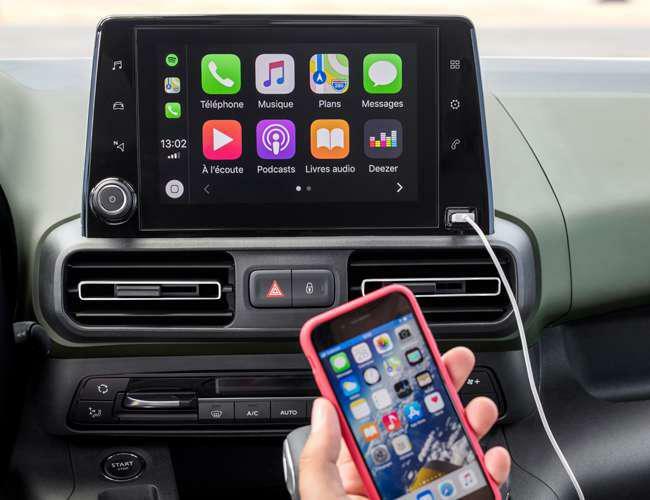 The 8” touchscreen and 4 connectivity solutions provide a bridge between your digital world and your car: Mirror Screen, Citroën Connect Nav, Citroën Connect Box and wireless smartphone charging. 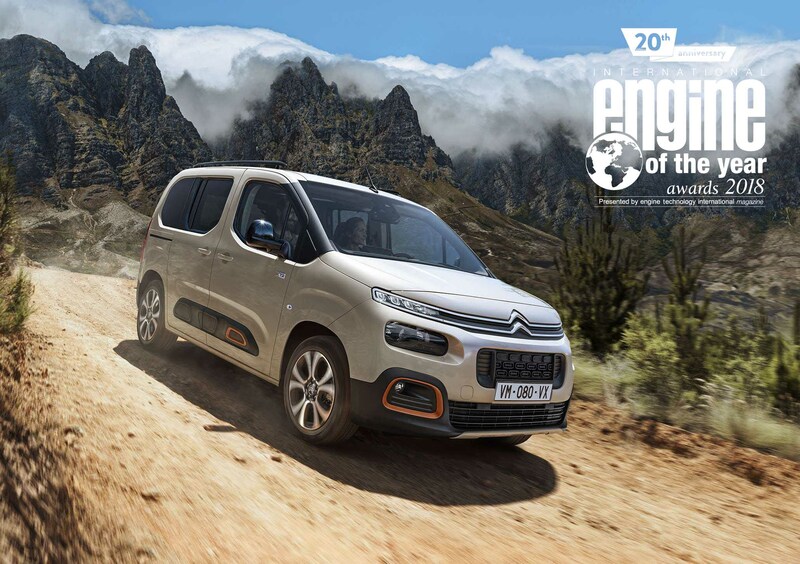 New Citroën Berlingo provides dynamic handling thanks to the combination of a new platform and the latest generation of engines that offer low fuel consumption and CO2 emissions. New Berlingo comes with petrol and diesel versions suitable for all types of driving, both in and outside of the city. Their engines offer first-class performance while remaining environmentally friendly. Grip Control® with Hill Descent Assist provides grip on all road conditions. Grip Control® adapts the traction of the front wheels to the type of road surface. Combined with Grip Control®, Hill Descent Assist maintains the car at a reduced speed even on steep inclines. New Citroën Berlingo also marks the arrival of an EAT8 8-speed automatic transmission for optimum driving comfort.